Side protection for Rafa-kids A teen beds. A perfect solution for the little ones as well as for the kids that like to roll and twist while sleeping. 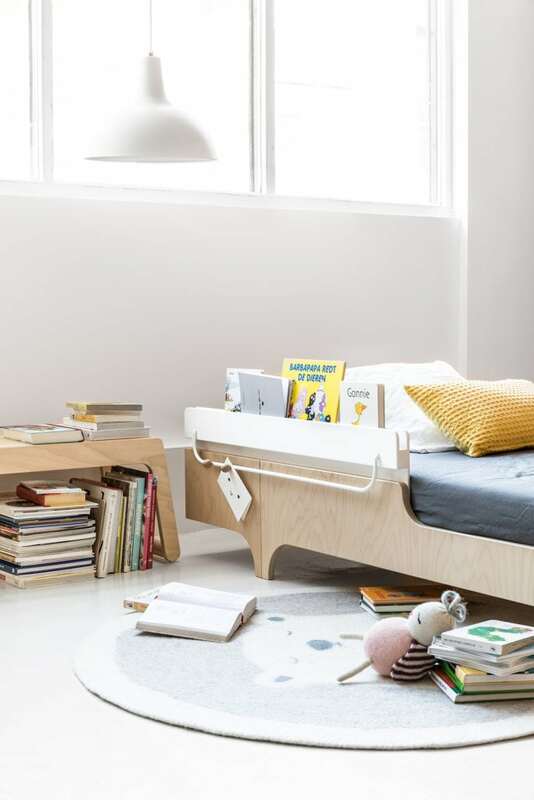 An additional great function of the bed rail is a pocket for favourite books and a metal rod for magnets and toys. 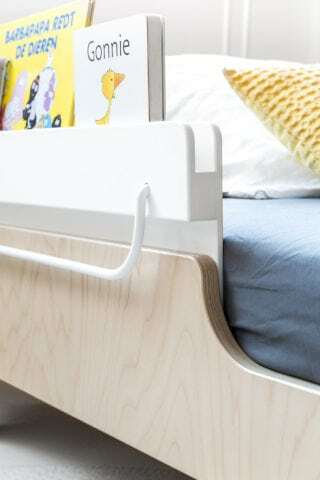 One of a kind bed rail with the playful Rafa-kids features. The A bed rail fits perfectly with all three models of A teen bed. 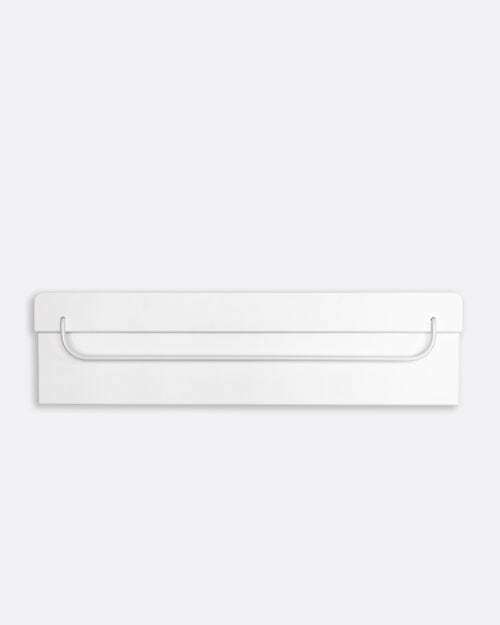 Super easy to place and remove. 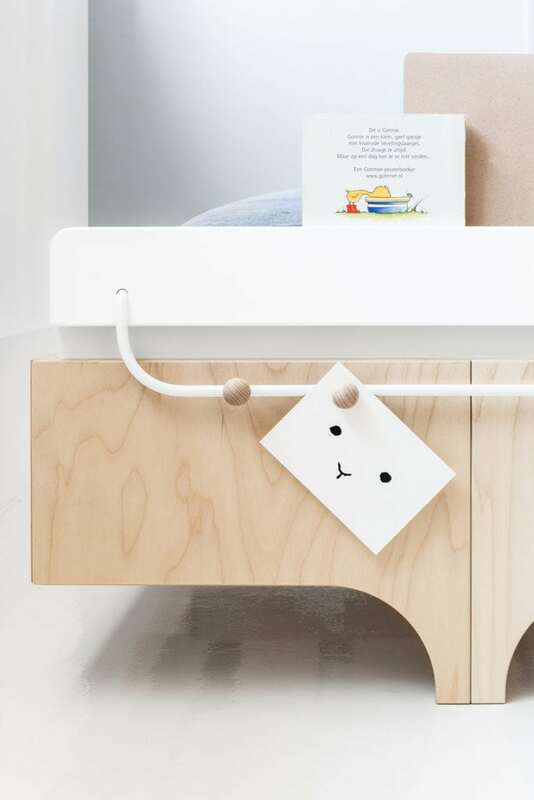 Made of our best Finnish plywood. Build for years. A special hidden feature: once the child does not need the bed protection anymore – hang it on the wall and use it as a great wall shelf!